1.Spread each slice of bread with margarine. 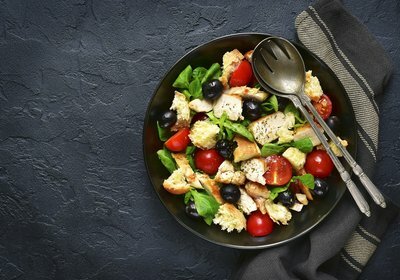 2.Place the chicken, mayonnaise, lemon juice, basil, mint, salt and pepper in a bowl and mix to combine. 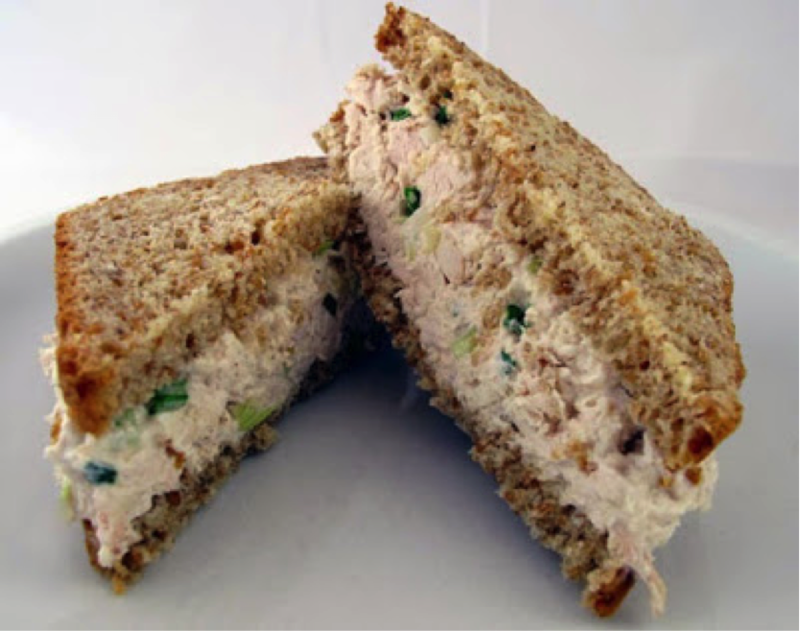 3.Place chicken mixture on two slices of bread. 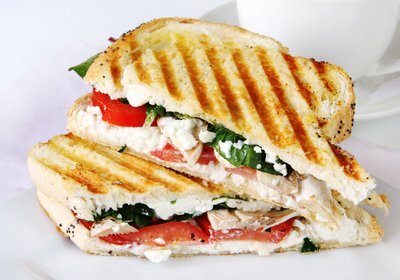 Sandwich remaining bread slices on top. 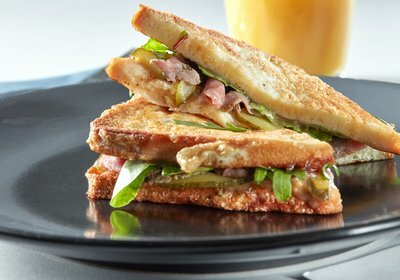 4.Cut sandwiches into small triangles and serve.